Today is the first day of the brand new 2018 Sale-abration and Occasions Catalogs! If you’ve never heard of Sale-abration, now is the time of year when you can get free goodies just by making a qualifying purchase or signing up to join my team. For every $50 you spend pre-tax and shipping, you’ll receive a free Sale-A-Bration product. Check out the Order Online button on the right to see the brand new Sale-abration items. And for anyone who has enjoyed Sale-A-Bration in the past, we have an exciting new announcement for this year. 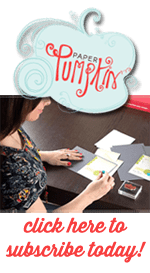 Stampin Up now has a new reward level, giving you more flexibility and options for your free items. If you spend $150, you have the option to choose three level 1 items or one level 1 item and one level 2 item. Plus you now qualify for Host Rewards with this purchase. If you host a qualifying party with at least $250 in sales pre-tax and shipping during Sale-A-Bration, you’ll earn an additional $25 in Stampin’ Rewards on top of the regular rewards for a $250 party! You can also use these rewards towards purchasing a Starter Kit. A qualifying party of $250 can be an actual party, a single order of $250, or combining orders with some friends. But here’s the best deal: join my team and purchase the $99 starter kit and you’ll get to select your choice of $125 worth of products, along with your choice of TWO additional stamp sets for your kit—any stamp set, any price. That’s like getting $225 worth of products for only $99. (Excludes bundles and Sale-A-Bration sets.) Plus, the kit ships for free! BUT… here’s the catch. Sale-abration ends March 31, 2018. If there is something in this catalog that you really want, don’t wait. Some products will run out early and once they are gone – they are gone for good. I’m betting the Party Pandas stamp set is going to be a huge hit and it’s going to run out early. And just wait until you see some of the cards I’ve made with these adorable Pandas! I know you’re thinking, but there wasn’t anything else in the last Catalog that I really needed. Well, don’t worry. Today is the first day of the Occasions Catalog. There are so many good things in this new catalog, like Valentine’s, Mother’s Day, Father’s Day, and so much more. Be sure to get these items early so you can take advantage of the Sale-abration rewards. I shared a few sneak peaks of projects using these products during the end of November in the OnStage Display Blog Hop. If you missed the Blog Hop, you can check it out here: Day 1, Day 2, Day 3, Day 4, Day 5, Day 6, and Day 7. I still have so many more good things to share from this catalog. You will be amazed! Check back Friday for my first Panda Party card. You’re going to love it!